Review: I picked up my hair today and it's perfect! It's soft and it also kept it's pattern after I washed and conditioned it. I will continue ordering from this shop! Nicole was very helpful also. Nothing bad to say at all. Review: Hair came fast. 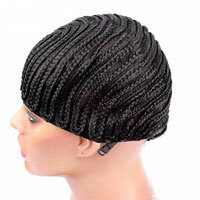 Used this for my first weave, so I was very particular, cautious, did a lot of comparing and research. Beautiful soft and very full. 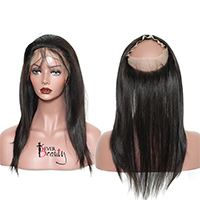 I ordered four bundles because I wanted very thick hair, I only ended up using two and a half because it's so thick. I will save the rest for later use! Love it! Review: I absolutely love this hair!! Hair was true to length. 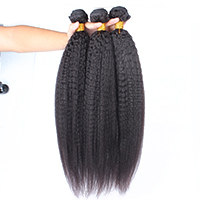 Full bundles!! Hair took color well and still feels soft! Definitely my favorite vendor! Review: so far this hair is very nice, but the real test will come from how long I'm able to keep it in...I'm hoping this hair last a good two months...fingers crossed, but I'm not gonna lie I really love the way it feels I defiantly purchase based on quality and this is quality hair. Review: Excellent product! Never fails! 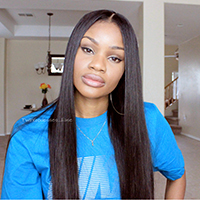 Review: This is my second time ordering from this vendor and I am overall pleased with the hair. Didn't take long to receive and the customer service was great. Review: So far so good! Although the bundle is a little thin the quality is excellent. Service gets 5 stars as well. Review: Shipping was very fast. The sellers were so kind and sweet. The hair is beautiful. Review: Love it ! I've had installed for about 2 weeks and barely any shedding & the curls are beautiful ! Review: Hair feels beautiful. Shine is gorgeous and there really isn't a smell. Shipping was fast and communication with customer service was too. Getting installed in a few days and I can't wait to how it does. Review: Super fast FREE shipping! Hair is really pretty however it sheds! Overall, I'm satisfied. Gave 4 stars due to the shedding. Review: I love the quick response to resolve my problem! Thanks !love the body wave texture!